We recently caught up with Graham Ross from Kusaga Athletic to get the rundown of what he's been working on and where he gets his inspiration. Hello, my name is Graham Ross, I’m the co-founder and CEO of Kusaga Athletic - a sustainable fabric company that retails high performance sports and activewear that are far kinder on the environment than cotton and polyester. We are also the creators of the Greenest T-shirt on the Planet - our tee uses less than 1% of the water required to make a regular cotton tee. What was the catalyst for starting your adventure or business in fashion? It needed doing, simple as that. Over the years I have competed in a fair few marathons, triathlons and Ironman events and in the bottom of my wardrobe, the growing pile of horrible synthetic finisher shirts that I never wore, really started to bother me. My business partner and I began researching fabrics used in sportswear and activewear and were horrified to discover most were petrochemical based, and that the natural option cotton, had a huge impact on natural resources like water and land. We decided there had to be a better way so, with zero fashion industry experience (we were both television producers) we worked with industry experts to understand the fibre options available. After a series of experiments, trials, a bunch of mistakes, we created four new sustainable fabrics. 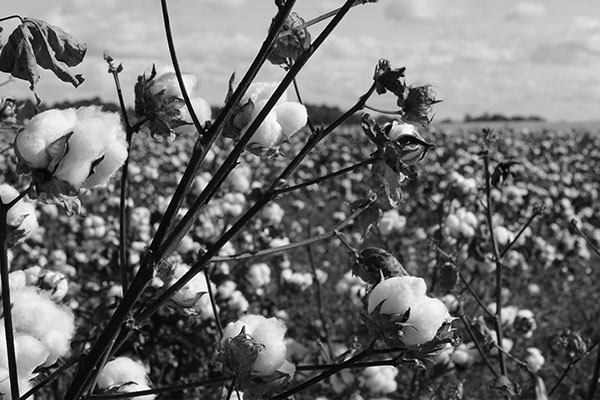 "Fabrics used in sportswear and activewear were petrochemical based, and that the natural option cotton, had a huge impact on natural resources like water and land." Where do you look for inspiration in such a hyper-connected world? Firstly we look to nature. Nature is incredible in the way ecosystems work together - when you think about sustainability and interdependency, the way food chain works, how plant materials break down and return to the earth...as nutrition for other animals and plants it really is amazing. Beyond nature we are inspired by the trail blazers of the world, the thought leaders across a diverse range of industries, from education and medicine, in science and the arts. Inspiration is everywhere. Our logo for example was inspired by the Matisse cutouts which I had the opportunity to see at the Tate Modern while we were living in London. He inspired us to use colour and patterns and so many people comment on our logo - which if you look closely is also a play on a fabric weave. What are your go-to resources for keeping up to date with industry news and trends? I subscribe to a few eclectic curated newsletters that give me a diverse range of industry news and information like Taylor Wessing and future fashion daily. For more focussed textile and production news, I head to Ecotextile news and Sourcing journal. LinkedIn groups are terrific for opinions and connections with professionals across the fashion and textile industry. Who in business do you admire and why? Patagonia, the company has defined how an ethical and sustainable clothing company behaves. When we began Kusaga Athletic, we studied the principles that have guided their customer and staff engagement...how they defined their culture. Patagonia was one of the reasons we decided to become B Corporation certified. I like disruptors by nature, they question everything, they challenge the status quo, so I’d add in Elon Musk. I believe Musk and Tesla are reimagining the car industry like a modern day Henry Ford and Ford motor company - imagine pitching a car to a country that were tied to horses. Plus you have to admire someone who decides to build his own rocket because he could do it cheaper. And finally, two designers who have been the vanguard for sustainable fashion and ethical conversations, Australia’s Kit Willow and of course Stella McCartney. Their voices continue to influence change to the fashion industry and educate consumer behaviour. Connect with Graham via LinkedIn or the Kusaga Athletic website.